DD should be back to normal by tomorrow though! Drunk Duck should be back to normal? 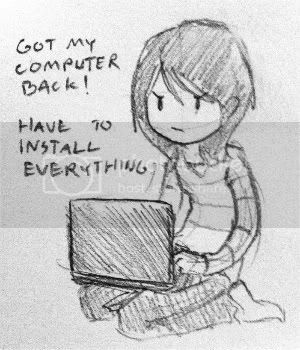 Glad you got your computer back, but sorry you're having a hassle. What was causing the trouble with it in the first place? Virus? I'm not really sure... :I It was very confusing.